We don’t have an information problem: we have an implementation problem. Here’s how to implement for success. Are you the kind of person who loves coming up with brilliant new ideas, but loses interest when it comes to implementation? If you know anything about DISC profiling, you’ll probably categorise yourself at a high D and I, and low S and C. (Try it yourself and see.) And it’s hardly surprising really, given that you have chosen a career where massive ups and downs are a daily, if not hourly, occurrence. There are ups and downs in any job of course, but you experience this crazy roller coaster every single day. The downside of this way of working is the stress that you can be under, trying to get every deal across the finish line; however, there is a huge upside too. You have to be very agile. Your reactions and decision-making are usually superfast, because you really have to think on your feet. This means that things get done, fast. Living in the moment like this is challenging and exciting, and can be pretty addictive. By having an agile brain, you can produce creative ideas and brilliant new initiatives, keeping your team on their toes, and your marketing always fresh and interesting. You’re probably not an implementer, right? Ideas people often are not good at actually seeing things through, leaving your initiatives and ideas incomplete. I know, because I used to be you. I’d come up with a ton of great ideas, but didn’t actually act on any of them. I’d start Monday morning with a terrific new campaign, but by Tuesday, I’d be onto the next new shiny thing. So what can an ideas person like you do to make sure your brilliant initiatives come to fruition? Work with an implementer – ideas people are most successful if they work with action people. If you don’t have a partner who is an action taker, could you partner up on short projects with others in your team? 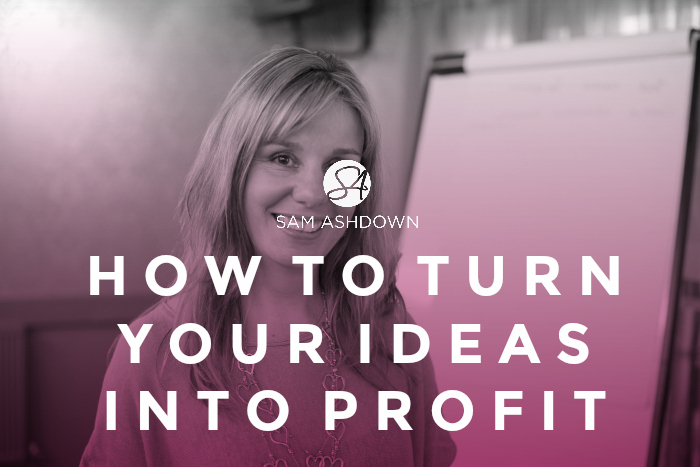 By getting your ideas implemented, you will soon discover which are the most profitable. Get a coach – as a coach to many successful agents, I’m a little biased here, it’s true, but having someone to hold you to account, who helps you prioritise your activities, and who helps you see the bigger picture, is priceless; I’ve always invested in a coach and have never failed to reap the rewards with huge profits. Have a written plan – when I work with my clients, we create a detailed plan I call a Lead Generation Planner. This allows us to plan every month in terms of not only the campaigns we want to implement, but all the steps in between to make sure the campaigns actually happen and are profitable. Here’s a post I wrote about this recently. Take some time to work ON your business – block out some time to really focus on your business goals, what you want to achieve, and the steps you need to achieve them. This is absolutely imperative and something I do on a regular basis, usually as part of a mastermind group, away from home in a beautiful hotel, so that I can fully focus on what I need to do without distraction. Ideas without implementation are just dreams. By taking action to implement in a systemised way, you will be amazed at what you can achieve. Remember my favourite quote. “Soon is not as good as NOW”! Next post How’s your diary?